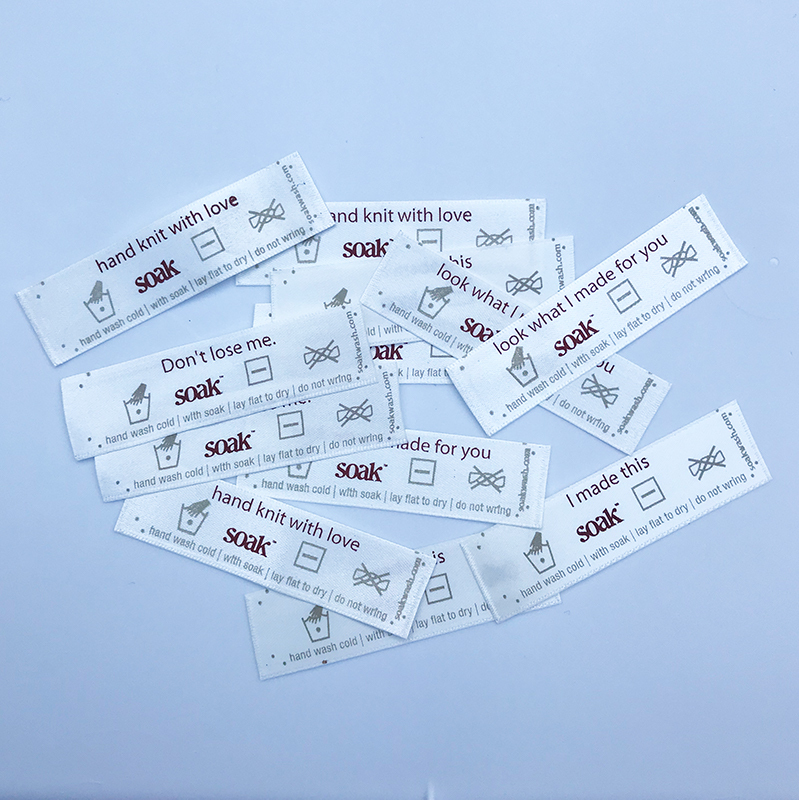 Put the finishing touches on your handknits with Soak's Labels of Love. 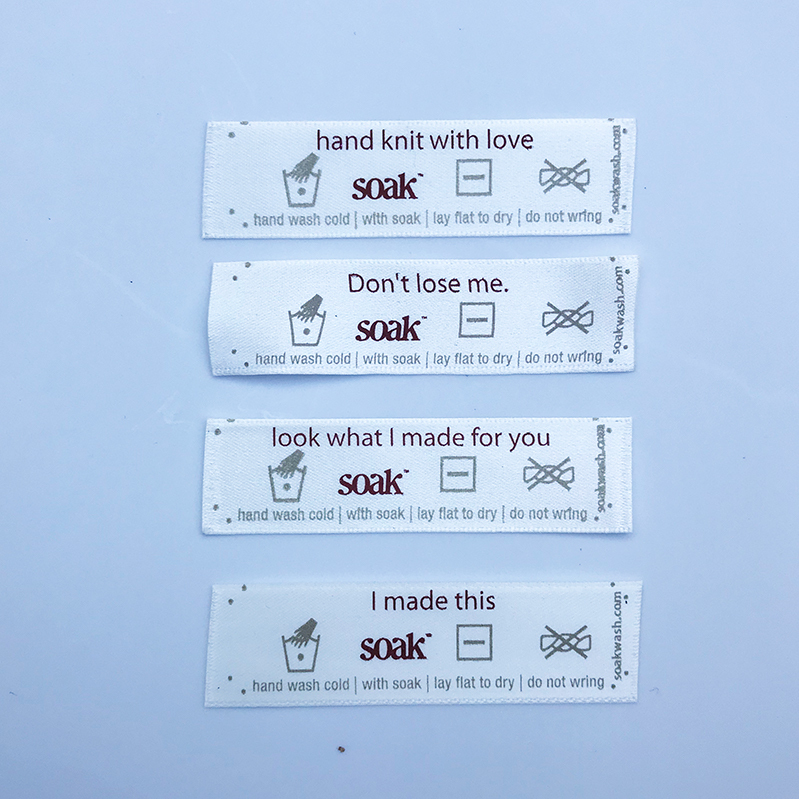 With phrases like "hand knit with love" and "I made this," these sew-in care labels show off the labor of love that went into the garment and how to properly care for it. Perfect for your own garments, but especially helpful for those you gift. Each package comes with 12 labels in 4 phrases, including "hand knit with love," "I made this," "don't lose me," and "look what I made for you."